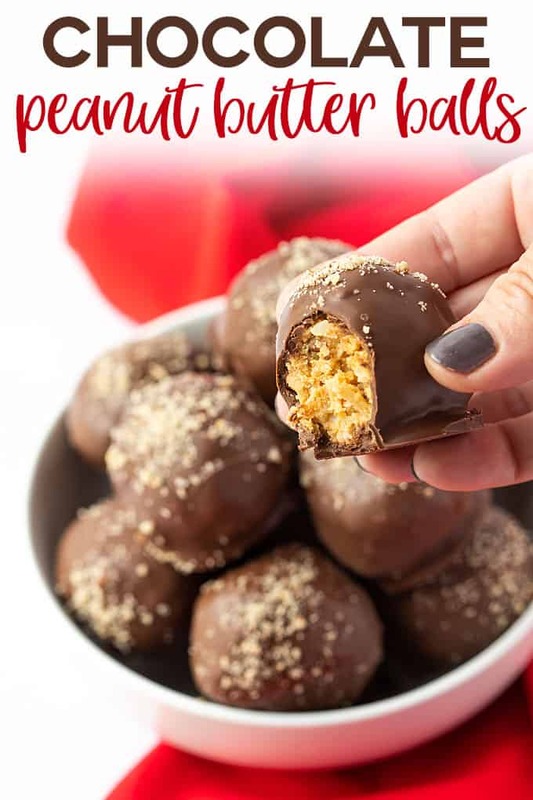 These amazingly easy (and sooooo delicious) Chocolate Peanut Butter Balls are a welcomed treat every holiday season! 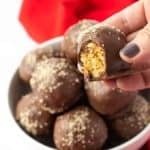 I’ve been making these peanut butter balls for friends and family every year since my early 20s. I realized recently it has been THREE long years since I’ve made them and knew I couldn’t go another year without them (never missed a year until 3 years ago!). 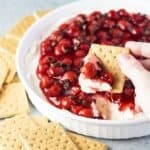 This recipe is different from any other I’ve come across because it includes coconut, graham cracker crumbs and chopped pecans… so good!!! 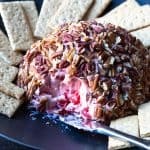 I have a few heartstrings attached to this recipe because I literally grew up eating these pretty much every holiday season. My childhood friend’s grandmother (Mrs. Morris) made them every Christmas and they were one of my favorite treats. When I was 9 years old, I asked her for the recipe. She handed me the recipe from her recipe box and I wrote it down on a piece of notebook paper to take to my mama. Mama started making them for me every Christmas after that. 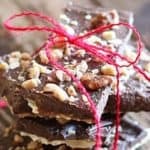 In my early 20s I asked my mom for the recipe so I could start making them for holiday gift-giving. She gave me back the same piece of notebook paper I wrote on when I was 9 years old! 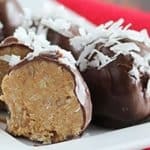 I hope you, your family and friends love these peanut butter balls as much as I have over the years. Enjoy! Originally published December 13, 2011. Recipe revised and updated with new photographs and video November 12, 2018. 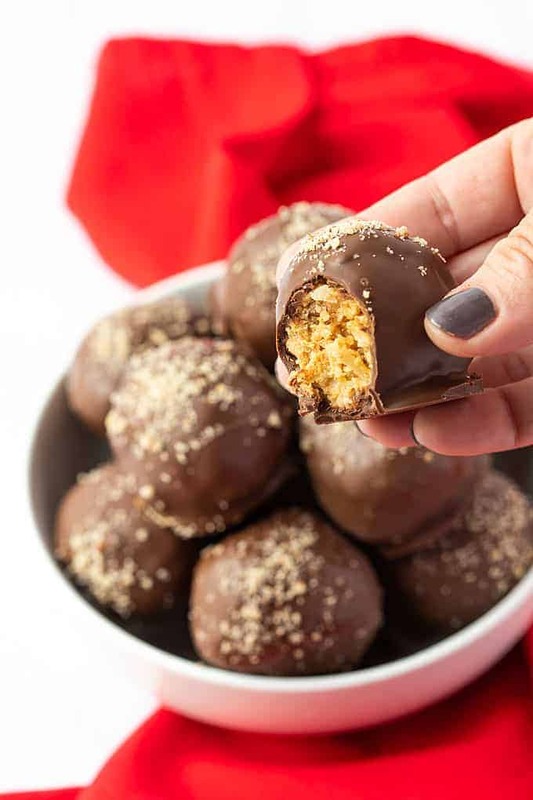 Easy no bake Chocolate Peanut Butter Balls with graham cracker crumbs, coconut and pecans – An old fashioned recipe that’s always a welcomed holiday treat! Line a large rimmed baking sheet with wax paper. In a large bowl, add graham cracker crumbs, powdered sugar, coconut, chopped pecans, peanut butter and melted butter. Stir to combine. Form into 1-1/2 inch balls and place on wax paper. Melt chocolate according to package directions. 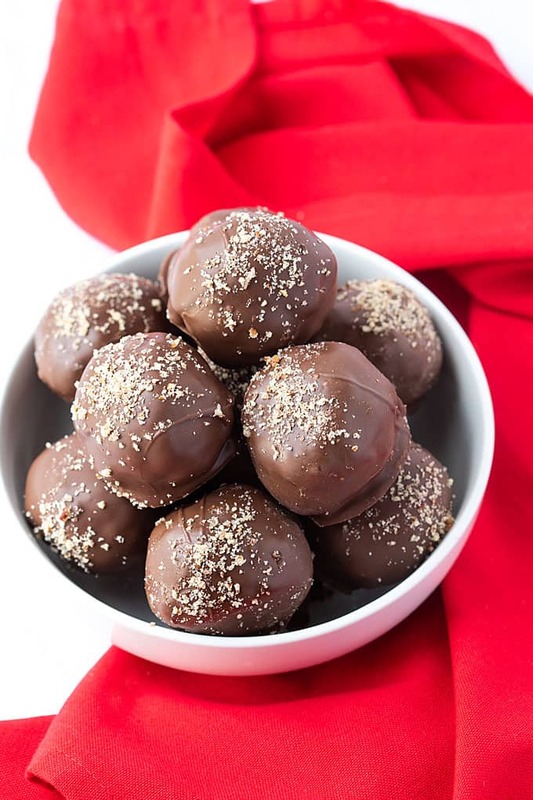 Dip balls into melted chocolate and place on wax paper. 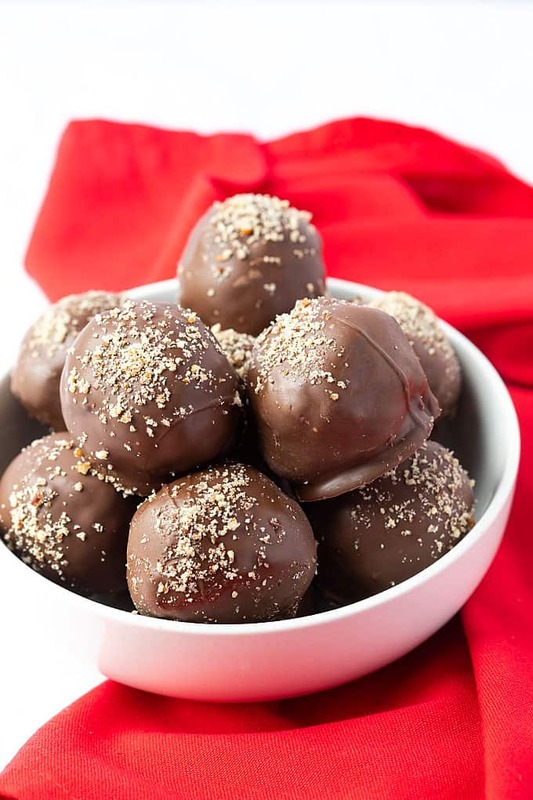 After each ball is placed on wax paper (before chocolate has hardened) dust lightly with crushed pecans. Allow to harden and cool. Store in an airtight container in refrigerator. 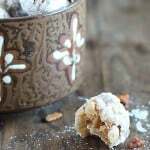 While forming balls, if mixture is too sticky, add more powdered sugar until desired consistency is reached, and/or place mixture in your refrigerator to slightly firm. Website looks amazing ! Recipes are looking yummy ! Thank you. 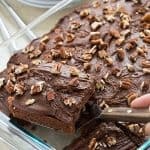 You just saved me, I couldn’t find my recipe anywhere and all the other recipes I could find were not the one that I had always used.